Preheat oven to 450˚. Place sweet potatoes on a baking pan. Drizzle with 3 tablespoon Chipotle oil and sprinkle with salt and pepper; toss to coat. Bake at 450˚ for 30 minutes or until tender, turning after 15 minutes. In a bowl whisk together remaining 2 tablespoon oil and balsamic vinegar. Set aside. 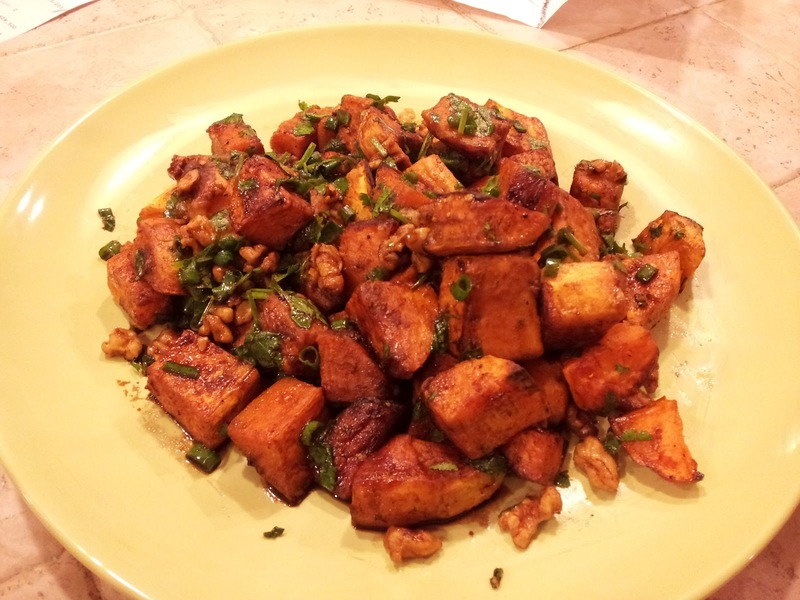 Place walnuts in a medium skillet; cook over medium heat 4 to 5 minutes, shaking pan frequently. Combine potatoes, walnuts, onions, cilantro in a bowl. Add oil and vinegar; toss gently to coat.